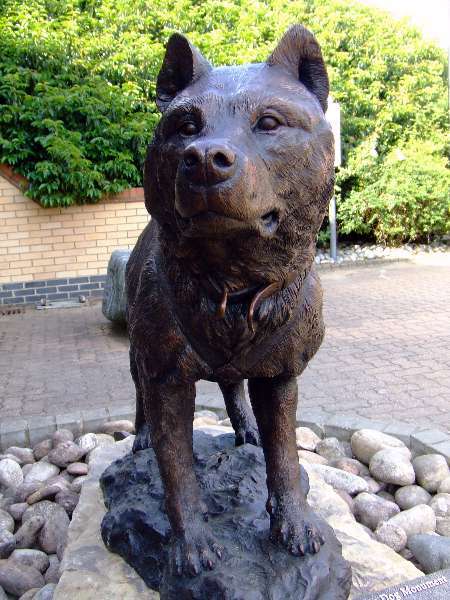 After an extraordinary short time of two years from proposal to completion; the funds were raised worldwide to establish this monument. 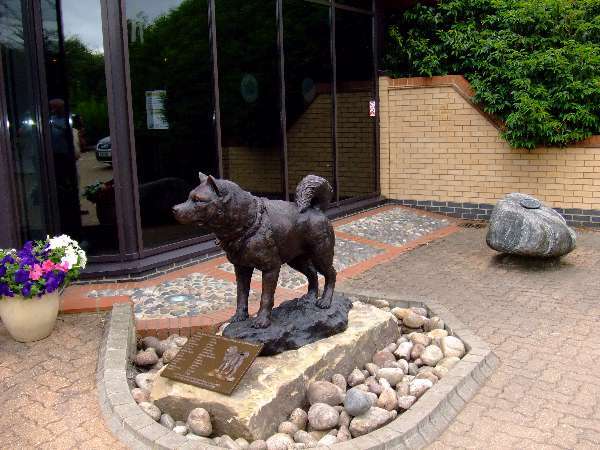 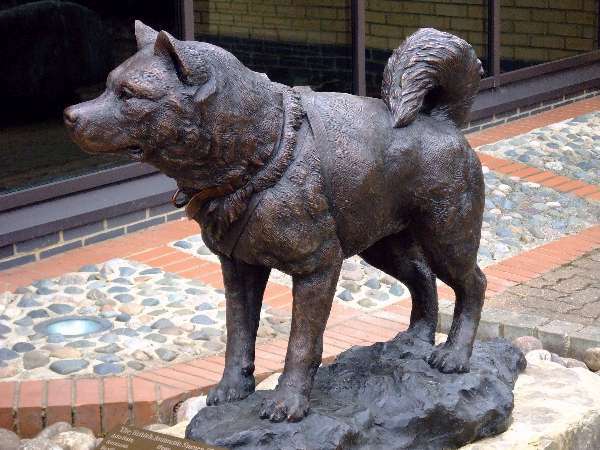 With little fuss, and no press releases,�our own bronze monument sculpted (by David Cemmick) was unveiled at the entrance door to the British Antactic Survey Building in Cambridge - there were about 150 Fids and friends present. 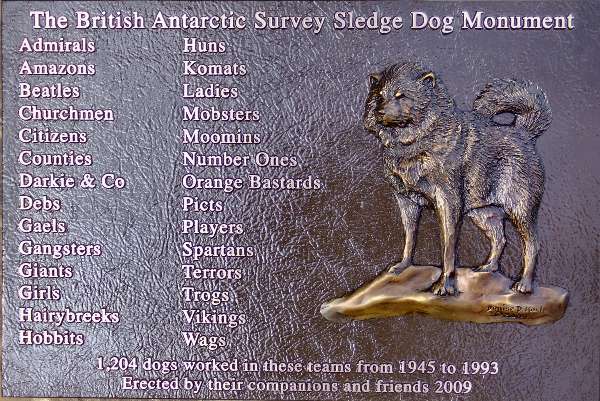 The dedication plaque (sculpted by Denise Coch) lists all the dog teams� that travelled�in British Antarctic Territory making possible almost all the overland journeys of discovery in the 20th century. 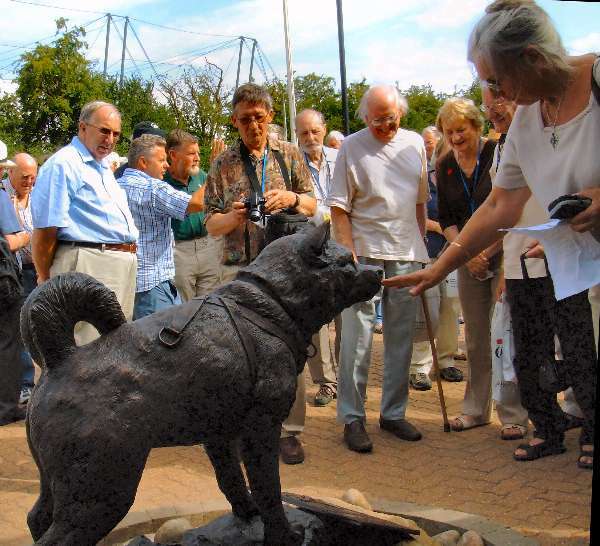 The monument represents a thousand personal stories; most of which will never be told in any official document.